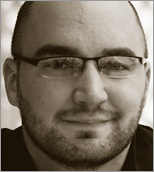 Brian Fling is an authority in the field of in mobile user experience and designing for multiple contexts. He has worked with hundreds of businesses from early stage start-ups to Fortune 50 companies to leverage a variety of mediums, like mobile devices, to design for the the needs and context of real people. Author of O'Reilly Media's Mobile Design and Development: Practical concepts and techniques for creating mobile sites and web apps, Brian goes in depth into the design principles involved in creating compelling mobile experiences for this new era of multiple devices and context. As well as explore the rapidly growing area of how to easily design and build a mobile site and web app, how to deal with devices practically and how to translate an experience to a variety of mobile devices. Brian is a frequent author and speaker on the issues on mobile design, the mobile web and mobile user experience, teaching people how to leverage mobile all over the world. Brian is also the founder and president of pinch/zoom, a design and development agency specializing on mobile experiences helping clients like Best Buy, Lonely Planet and others dive into the world of mobile. "As usual for OReilly, the book is well-written and readable even for non-native English speakers. Code examples are provided in various web languages; an ample amount of images is included for clarification where beneficial." "...an excellent read for those looking to develop their knowledge of the mobile space. I thoroughly recommend it for Project / Account Managers looking to understand the approaches required for developing for mobile, and for developers looking to check any mobile specific knowledge required for making decisions regarding the correct techniques for a specific project."